Founded by the Trojans thousands of years ago, the once ancient city of Izmir is now a modern, developed commercial hub of Turkey. Still harbouring its old, historic charm of ancient Mosques, Roman ruins and bustling bazaars, the city is also home to sprawling beaches, modern shopping centres and picturesque boulevards, lined with trendy cafés and restaurants. 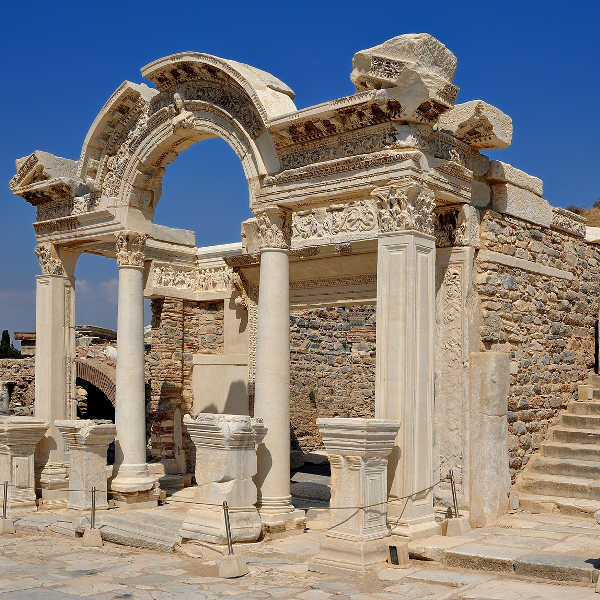 Cheap flights to Izmir are now available for a limited time only, so book your flight today and prepare to be charmed by the ancient exhibits and charisma of this city! Izmir is home to Adnan Menderes International Airport (ADB), a 30-minute drive from the city centre. Spanning a history from as early as the 4th century BC, Izmir is home to many historical remnants, including the Roman ruins of Agora and the Konak Clock Tower. Immerse yourself in the heart and soul of Turkey by walking through the labyrinth of Kemeralti Market, made up of eateries, tea gardens, workshops and souvenir stalls, including Havra Sokağı, famous for treats like Helva. Enjoy the magnificent sea views as you walk along the iconic Kordon seafront, lined with bars and cafés. 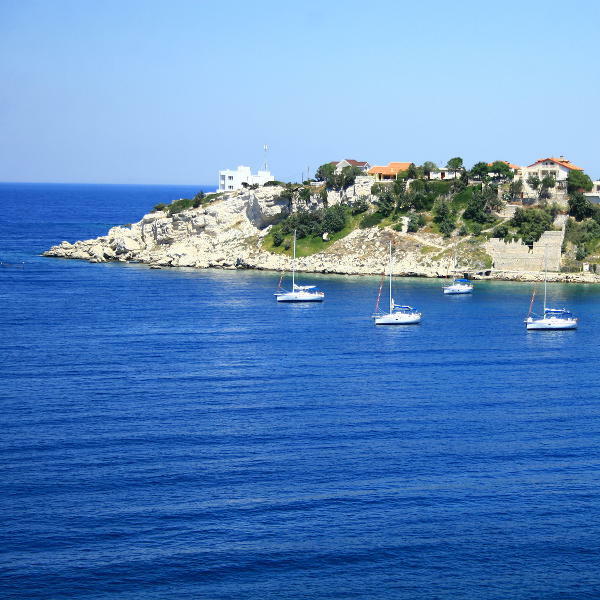 Feel the warm Mediterranean glow as you relax on the sun-kissed beaches, with sparkling blue waters at your feet. If you’re looking to explore the sandy beaches, vibrant festivals and laid-back outdoor living, then go during the summer months of May to September. July and August see day temperatures peak, but the nights remain cool, perfect for some al-fresco dining. The winter months of December through to February bring a lot of rainfall and there are not many tourists around. If you’d rather swap the beaches for museums and galleries, this off-season period is perfect! For the best of both, the months just before and after winter lend a cool, refreshing atmosphere where you’ll have the stunning beaches AND historical sites at your fingertips! Izmir is the third largest city in Turkey, but the atmosphere of this coastal melting-pot is often described as more Mediterranean than Turkish. With over 7000 years of history, there are plenty of fascinating ruins to explore, along with some wonderfully diverse architecture. 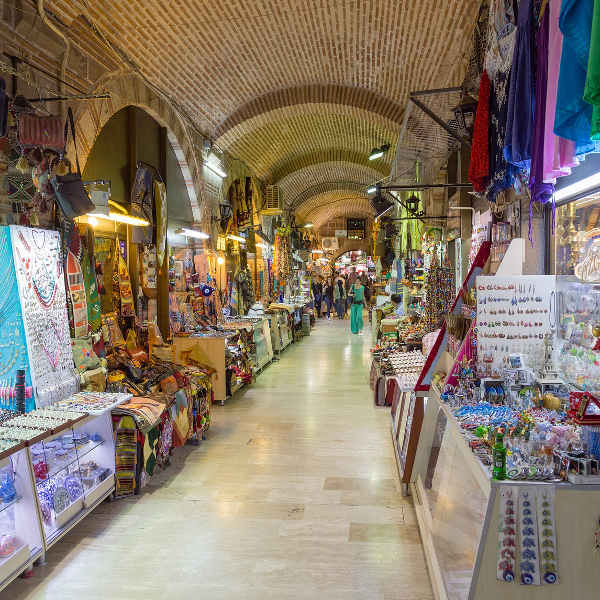 However, the real joy of Izmir lies in its bustling waterfront promenade, its interconnected piazzas and walkways, and its lively and colourful bazaars. Take a stroll through the charming streets of Konak Square where you’ll find the famous clock tower and Kemeralti Bazaar – a shopper’s delight for copper trinkets, rugs and Turkish coffee. When the bustling streets and walking tours have tired you out, hop on a ferry and see the stunning views of the city from a different perspective or go further afield to the nearby islands. Perfectly located on the Aegean coastline, the beaches of Izmir are ideal for a relaxed retreat by the shimmering ocean. Compare several airlines, and book your cheap flights to Izmir online at Travelstart. Izmir is a relatively safe city but tourists are encouraged to exercise regular safety practices. Use common sense and avoid walking in areas that are dark and sparsely populated. It is advised to not walk around the south side of the train tracks, near the city centre or around the main port. Turkey has been victim of recent terror attacks, so stay updated on the latest events and exercise vigilance at all times. Tap water is ok to drink, though you may want to stick to bottled water to be on the safe side.